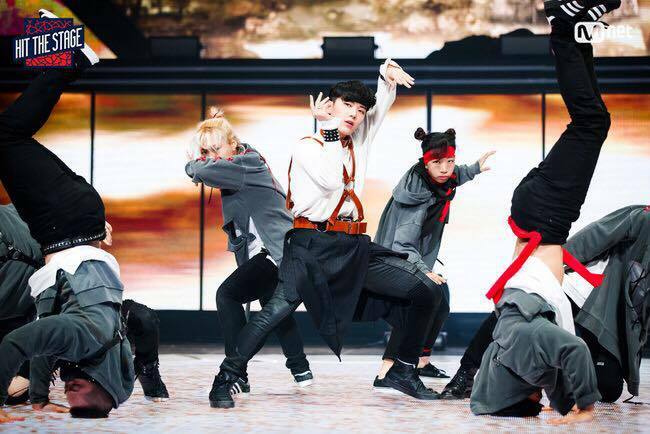 Hit The Stage is Mnet’s television program in which K-pop idols team up with professional dance teams to compete in a dance survival contest. It premiered on July 27, 2016 and the first season concluded on September 28, 2016. It is composed of 10 episodes. Every round there is a corresponding theme for their dance performances. And there is one winner for every theme. The winner is determined based on audience voting. T for Talent. T for Taemin. T for Ten. And another T – to Take a moment to appreciate these graceful and talented creatures. It should have been stylized as hiT The sTage! One of the attractive points of this show is that they not only focus on the celebrities and idols in the show but also the crew they came with. They’re not only backup dancers with no introduction and no name here. They’re given their due and the credit they deserved here. What got me from the first few episodes was the super rookie in this pool of talents, the ever-smiling Ten of NCT U. From a newly debuted group of SME then. Their first concept was the Devil. Ten came with his Prepix hyungs with a concept similar to the Exorcist. Ten absolutely killed it with this performance despite the slight disadvantage of performing first. He displayed his insane flexibility here and his innate sense of rhythm. I was not expecting to fall for this boy right there and then. He’s agile, versatile and completely absorbed in his character which is a complete contrast to his usual puppy-like demeanor. This kid right here is a born performer. There were several celebrities who also displayed surprising performances especially the issue of that episode -the Jokers. But none drew me in with performance alone the same as Ten. Well, except for one that is, the king of dance – Taemin of Shinee himself. 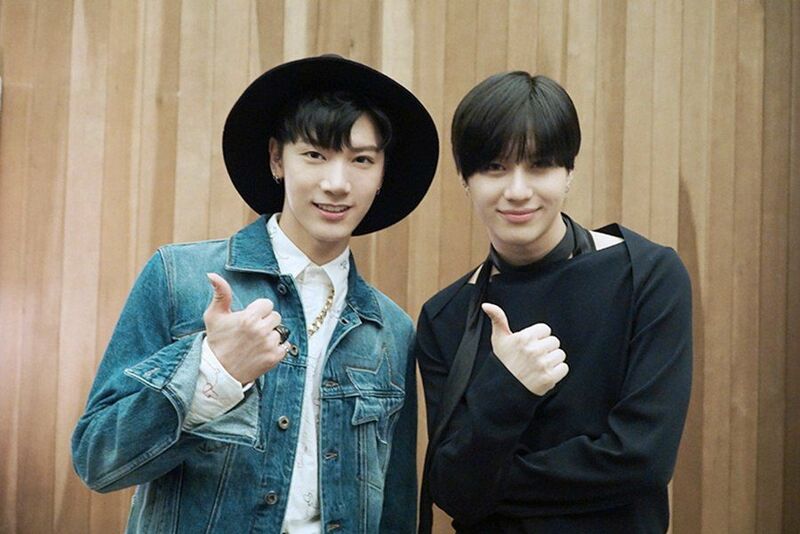 With Taemin, almost everybody there already knows him as a great dancer. And from the opening itself – that solo dance break performance amidst everybody performing with their crew – shows his confidence in his own style. He was also in the midst of the promotion of his solo act at that time, so it made sense that he used his own song to perform. I was not familiar with his song but I thoroughly loved it after the first time I heard it in the show. He performs with his own style. With that graceful air about him like a second skin. It was mesmerizing to see and to think that he has incorporated powerful moves in his performance but still appears graceful is definitely a thing to watch. He made it look like as if dancing was as easy as breathing. And I thought it couldn’t get better but it actually could! Koharu Sugawara, an established dancer and choreographer herself and a friend of Taemin, adds another layer to that performance. They interpreted the concept of Devil as an inner struggle – a battle between’s oneself. Their moves were so synchronized it’s as if they were twins. This is definitely the performance that deserved that winning title! Aside from their performance tho, it was very heartwarming to see their banter and friendship off the stage. To my disappointment, it was only in the Devil Concept that Taemin participated. And thankfully, Ten still remained so I watched the show until the end. The performance who introduced Ten not only as a member of a newly debuted group in the industry but also his talent as an individual. Some fans remarked that his stunt in Hit The Stage was his solo career. And he also gained many fans through this show. Well, can you blame them? This kid is just pure talent right here. In the Uniform concept match, Ten and his crew went all out with a mad conductor theme. It was glorious. You will never see a mad conductor who can dance as well as this boy. This was definitely my favorite out of all his performances. The music, the choreography, the acting, and even the costume was on point. He finally snagged the trophy for this match! Just when you thought you couldn’t fall deeper into the Ten hole, he accepts the award with his usual smile and shared the floor with his Prepix hyungs. I swear another thing to watch in this show is his loyalty to his crew from episode 1 to the last. Find a partner as loyal as Ten to his Prepix hyungs! The humble boy who shared his award with them, and even shed tears for being last in the last concept match. Their teamwork and most definitely their hard work paid off. And as if being empowered from winning, Ten comes back with another jaw-dropping performance as the Assassin. The twist in their storytelling was a major point in this performance. And for his final stage, it was a performance of his journey through the show. From the Devil, to the This Love concept, then Uniform, up until to The Fight concept. For the ones who have been watching his performance from the very first, this one is a meaningful piece. It highlights his best and his versatility as a dancer. Ten is freakingly flexible, literally and metaphorically. His This Love concept performance was probably the least of my favorite. Maybe because he was too young for this concept? There’s something missing here. Maybe it’s the chemistry between the two, or the lack of romance. But still, Ten gave it his all. He even learned wakking here for the first time. Speaking of the This Love concept, there’s a certain performance that is without a doubt the winner. Hoya and his friend of a very long time Choi Hyo Jin (another established choreographer) slays with this! It’s sensual, romantic, but classy as well. Hoya in his own is a great dancer, but the combination of the two, and a modern dance performance to boot – definitely one to watch! I had goosebumps watching this then. And I’m still awed by this performance now. Whenever I hear Nick Jonas – Close ft. Tove Lo, I automatically think of their performance. I thoroughly enjoyed all 10 episodes of Hit the stage and I am still waiting for the Season 2. I hope they will continue with this show. There were many performances I wanted to talk about, but then I’d never be finished. So, I decided to just focus on the two up there who caught me from the first episode. His performance on Hit The Stage are dope, especially his first appearance. His House dance is one of the best! If you love to dance, to listen to music, or just watching these kinds of competition, you will definitely enjoy watching this show. There are several sites with a subbed version of these in English. Who knows, you might find your next bias in these kinds of show! Hold up, how had I not heard about this before. This sounds awesome. Dance choreography is like my favorite thing about Kpop so this seems like something right up my alley. Will definitely be checking this out! Graceful and talented creatures is the only way to describe the beautiful men of Kpop! Even though I’m not very into listeing to it myself this post made me laugh so much 😂! Oh don’t worry I’m quite shy myself!!! That makes two of us. Hope you have loads of fun blogging ❤! !